Automodel released the above resin model yesterday. 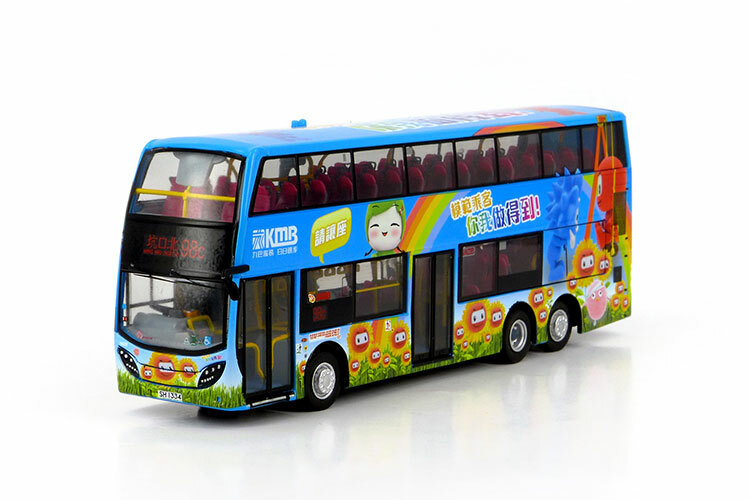 China Motor Bus CX3 carries Airport Express livery and is on route A20, Airport (36618). It is limited to 420 pieces. 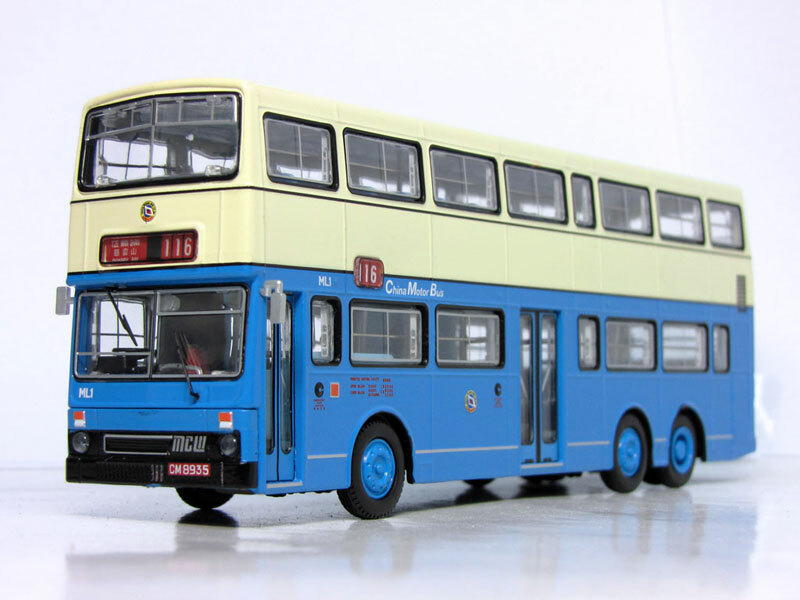 Whilst yesterday's News revolved around older buses, today's focuses on some new ones. 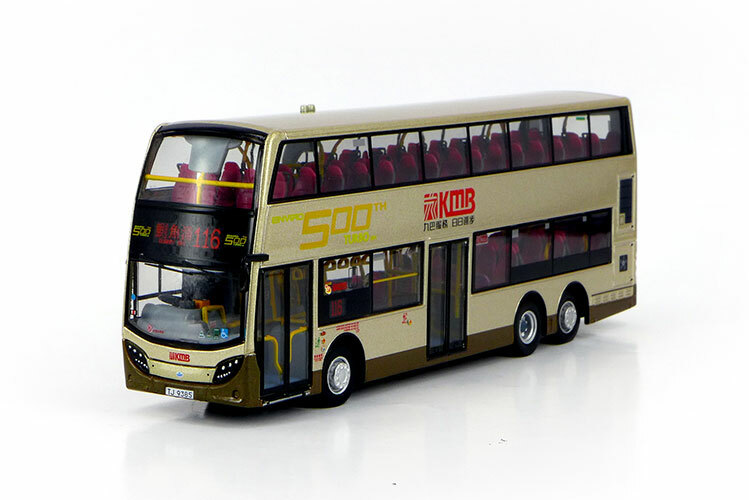 On the model front, I received my 1/43 scale Kowloon Motor Bus Enviro500NG today and first impressions are very good. Here is a shot with 1/76 scale Hybrid ATH2 alongside. 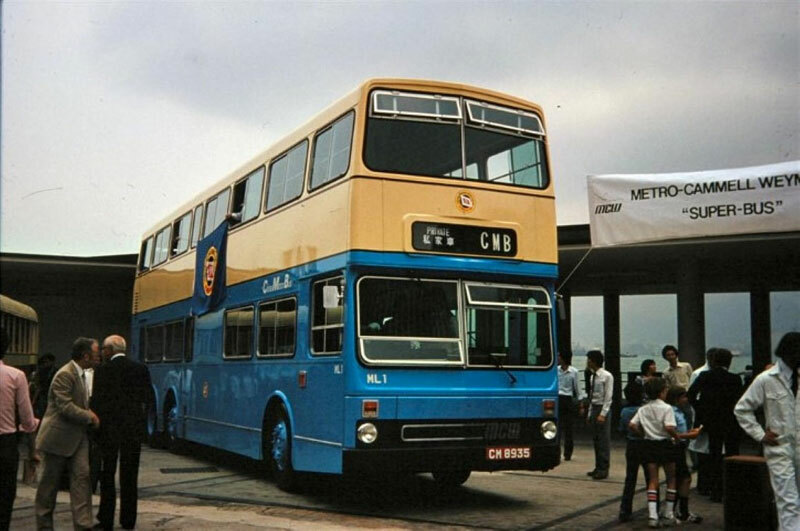 Big Bus Dennis Condor fleet nos. 2 (NR3574) and 4 (NR6564) were retired last week, fleet no. 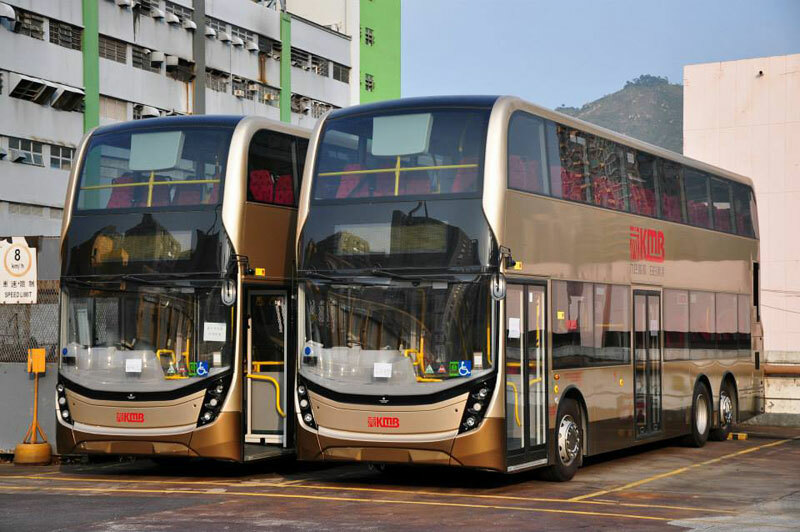 2 have been replaced with a new Ankai carrying the same registration. 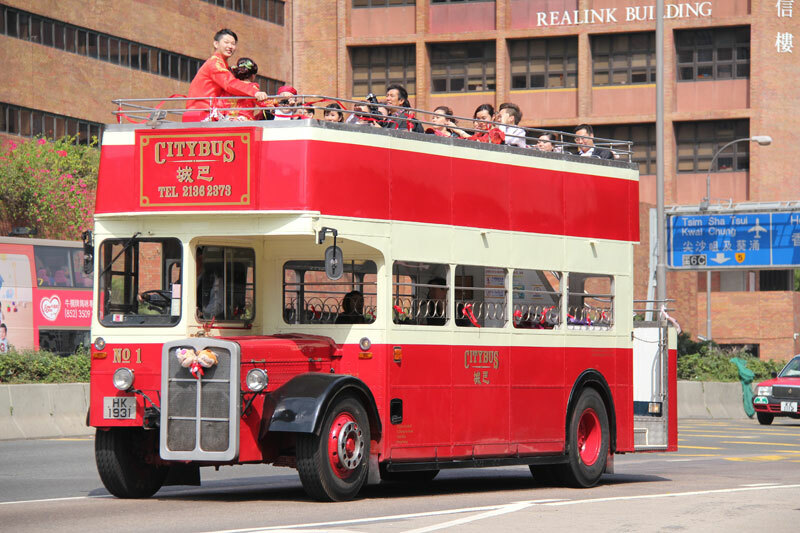 Citybus Routemaster no. 1 has been busy of late performing several special tours - this is expected to be retired this week. 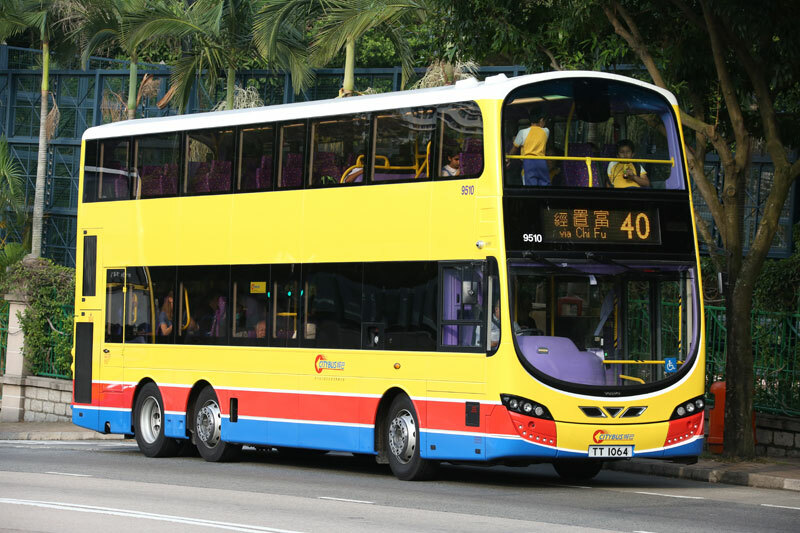 And finally New World First Bus Volvo Olympian VA55, in Rickshaw Bus livery, was also retired last week. 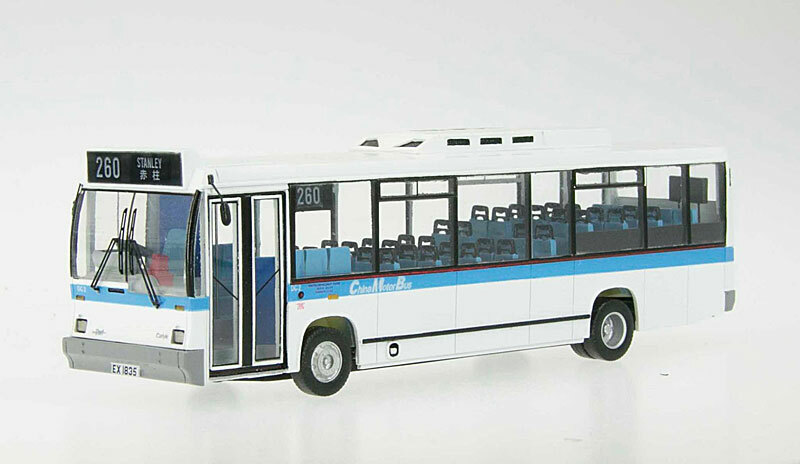 Buses Model Co. has confirmed they have a new diecast model - this plain white MCW 'Super' Metrobus , ML64, is on route 2A with a destination of Wan Chai Ferry Pier (BMC64002). 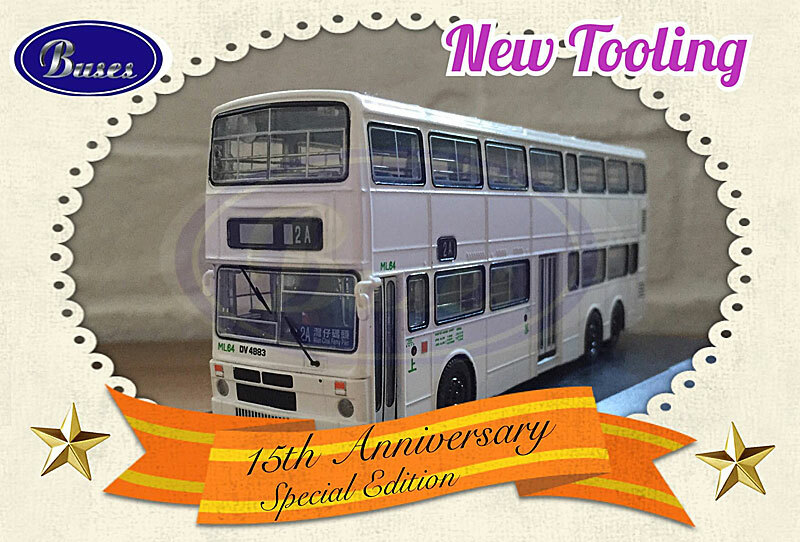 This is Buses Model Co. 15th anniversary congratulation model. 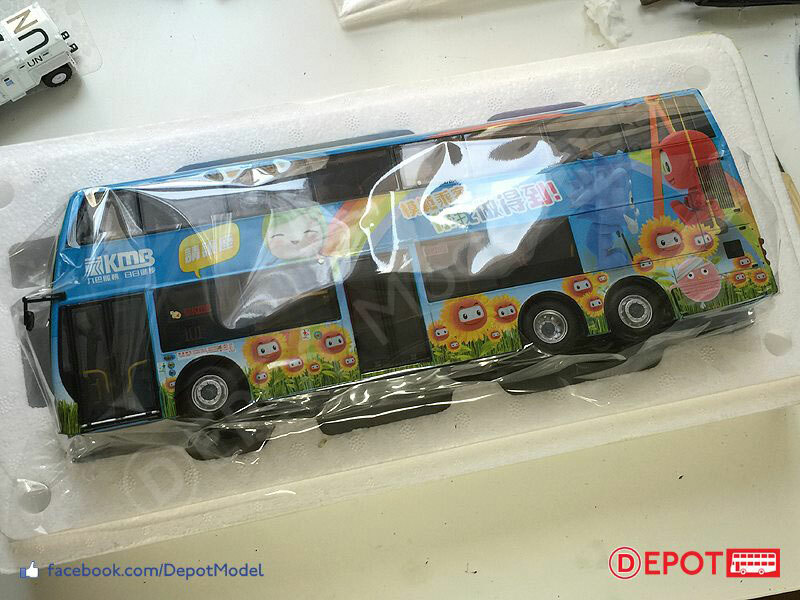 The quantity is limited to 600 pieces only. The anticipated release date is 14th November 2015. 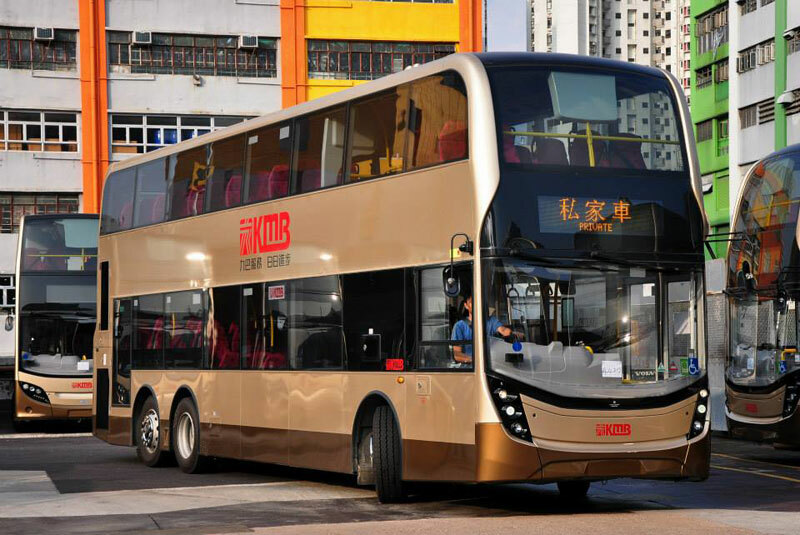 Kowloon Motor Bus has registered what is believed to be the first of the production 12.8 metre ADL Enviro500NG - 3ATENU3 (TT4698) was registered on 22nd October. 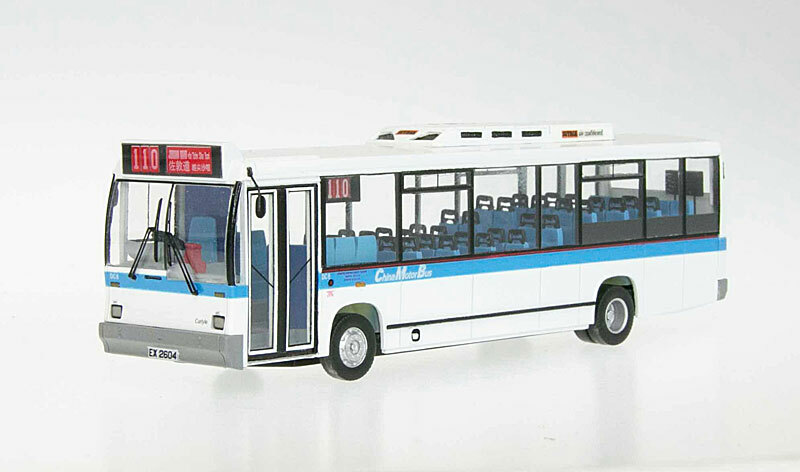 Buses Model Co. is celebrating its 15th anniversary and to mark the occasion it is issuing a plain white MCW Super Metrobus featuring ML64 (DV4883). 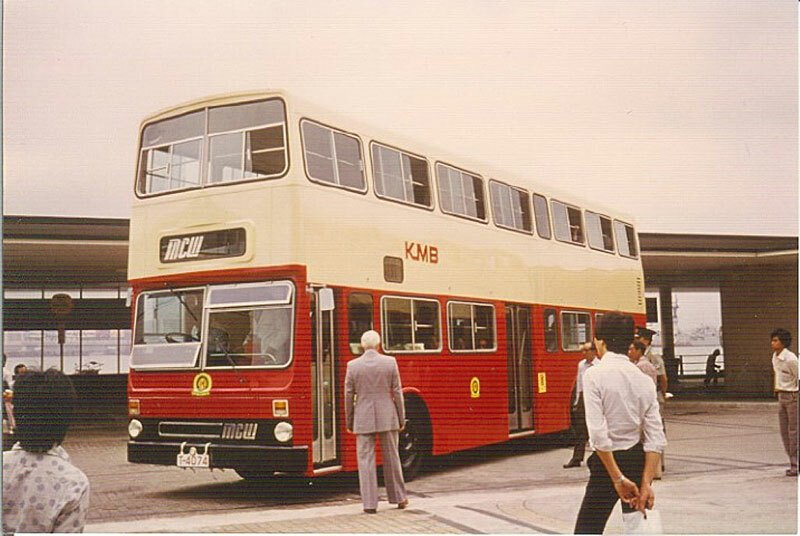 On the subject of MCW Metrobuses, I am grateful to Tim Hall for sending me the above scanned image he took in May 1981 at the official launch of China Motor Bus ML1. Citybus 9510 is one of the latest 11.3 metre Wrights Gemini 2 bodied Volvo B9TL to enter service. 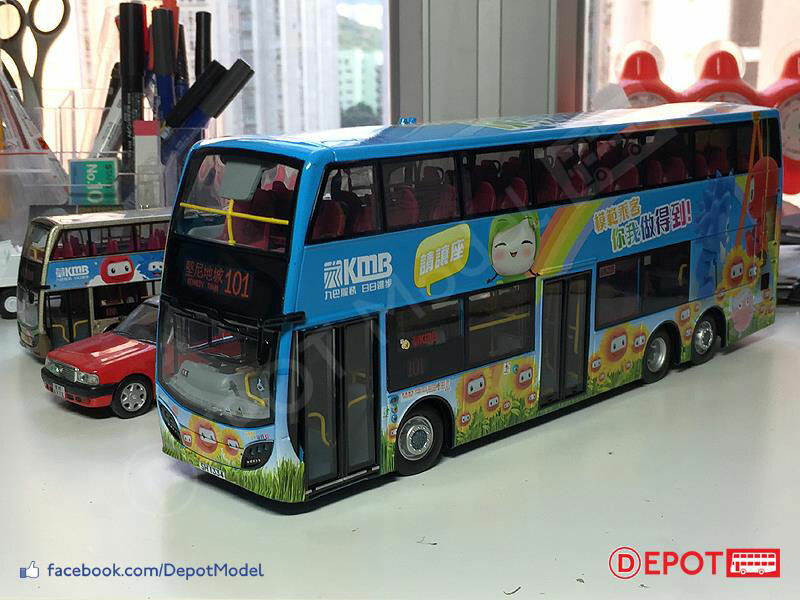 Two models, in differing scales, are set for release in Hong Kong tomorrow. 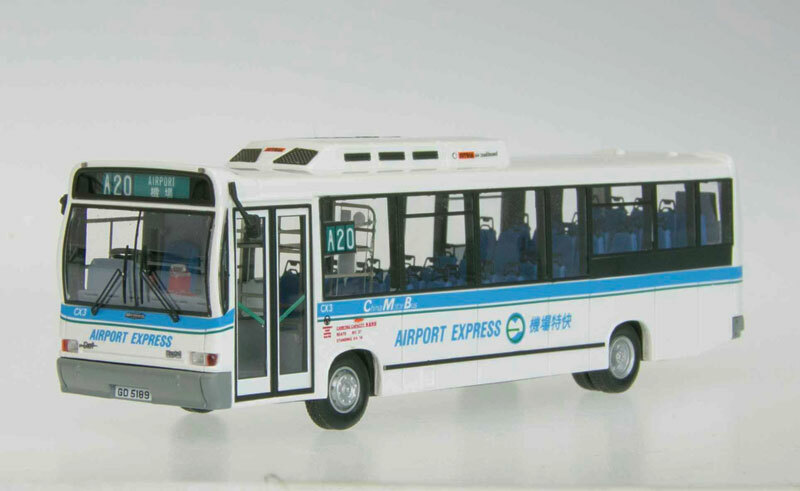 The first, in customary 1:76 scale, represents the first Dennis Trident for Kowloon Motor Bus, ATR1, with farewell decals (KLE15032). 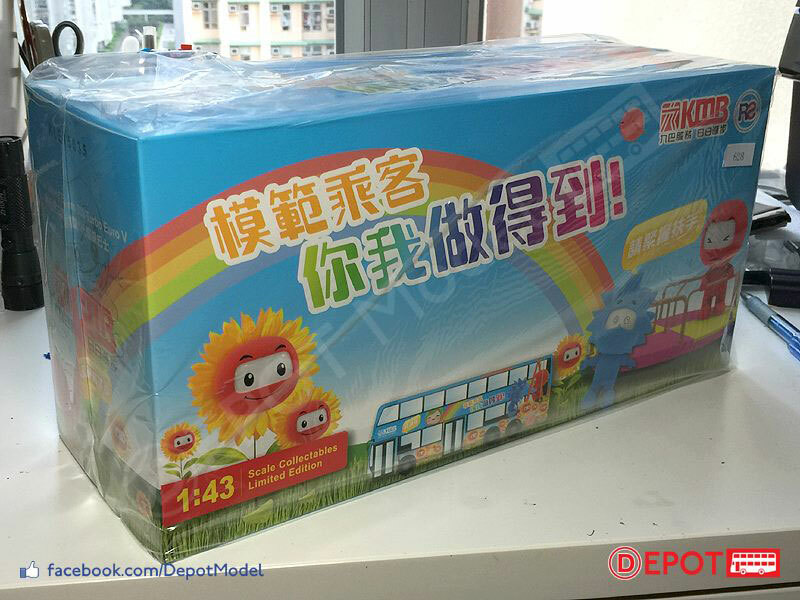 It is on route 1A to Sau Mau Ping (Central) and is limited to 1,200 pieces. 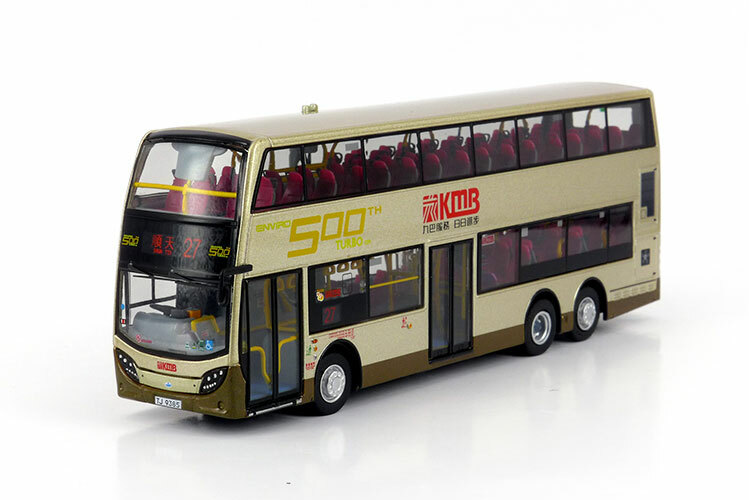 The second is in the more unusual scale of 1:43 and features Kowloon Motor Bus ADL Enviro500NG ATENU130 in Captain KMB livery (KLE15035). 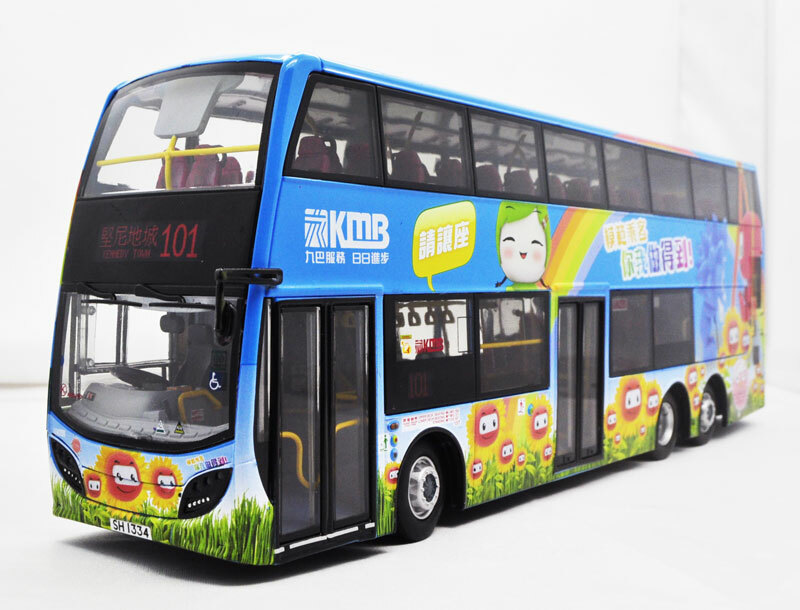 This is on route 101 to Kennedy Town and is limited to 1,000 pieces. 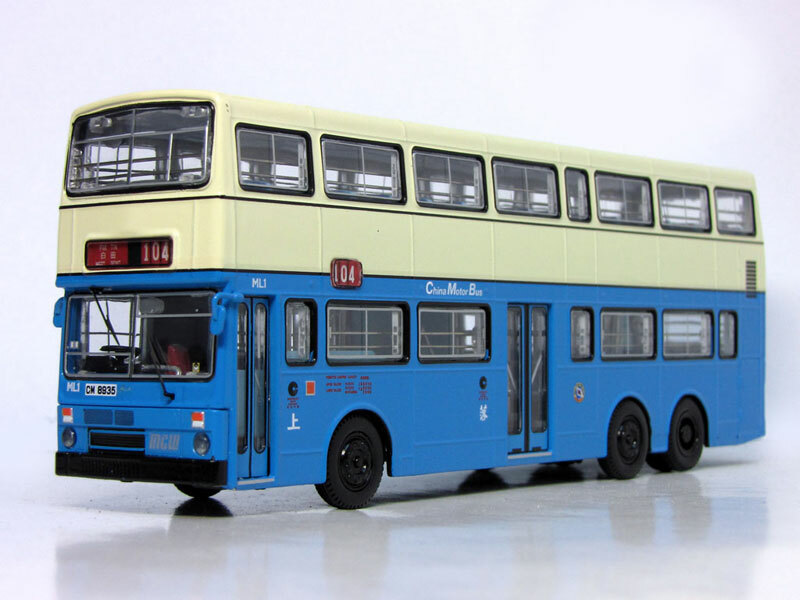 Thanks to Depot Model I am able to provide further photographs and advise that the model features steerable front wheels and the drivers cab window also slides open. 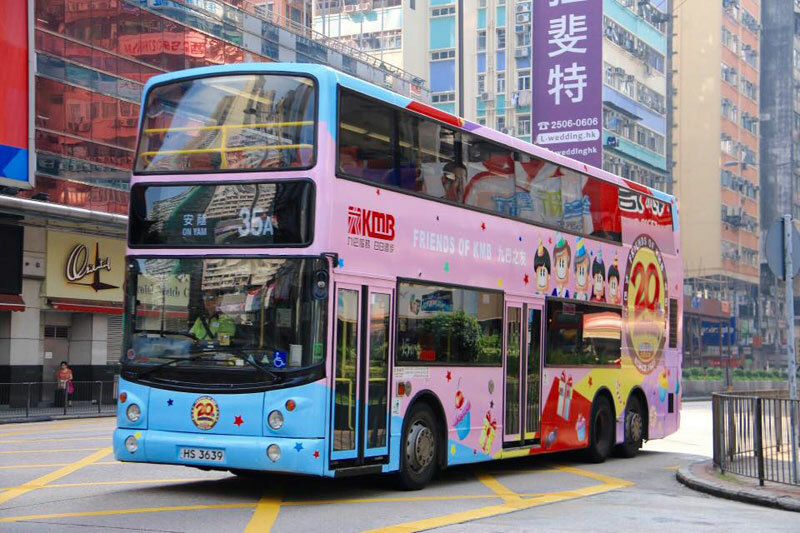 Kowloon Motor Bus has decorated Dennis Trident ATR456 in a special livery marking the 20th anniversary of Friends of KMB - another possible model? 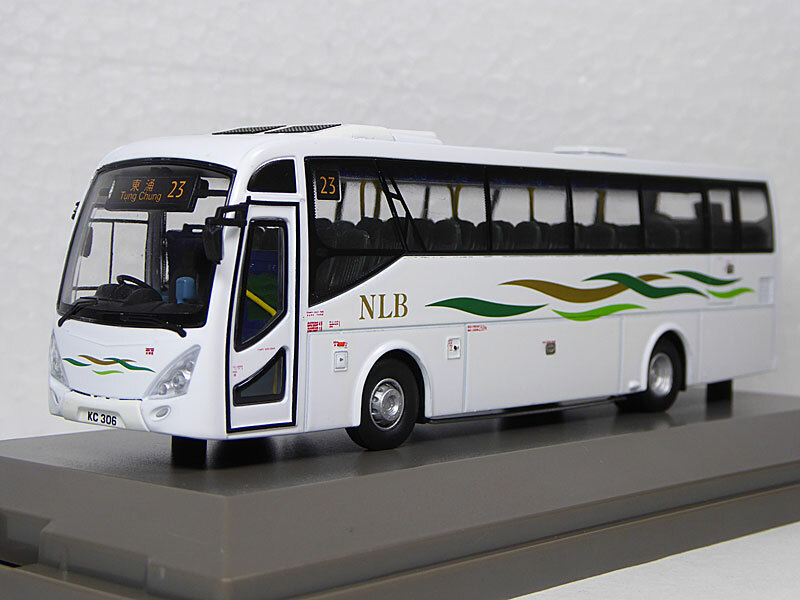 Following the two recent releases of the 1/76th scale Captain KMB liveried ADL Enviro500NG ATENU130, a 1/43th scale example is on its way! 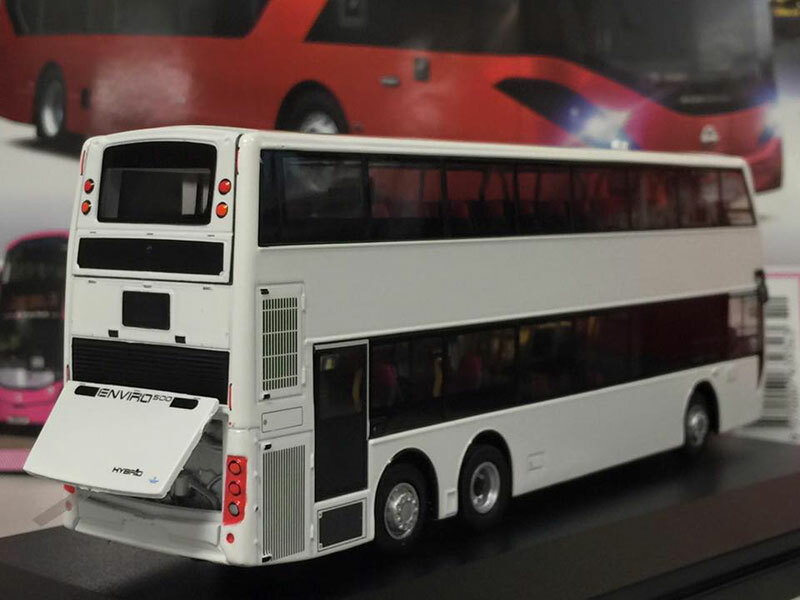 To be produced by Roadshow Creations, it is on route 101 and will be limited to 1,000 pieces. The suggested retail price is HK$898. Pictured above are the three resin models referred to in yesterday's news and new pages have now been added. 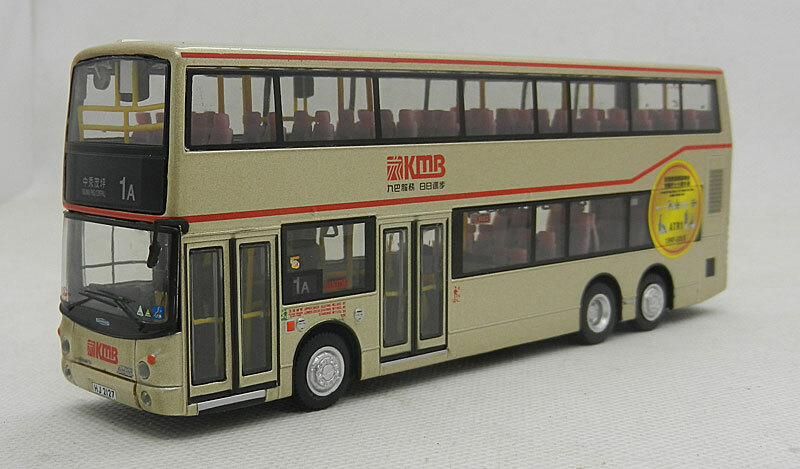 P&T Model - China Motor Bus Dennis Dart / Carlyle DC8 - route 110 to Jordan Road (B15110) - each is limited to just 99 pieces. 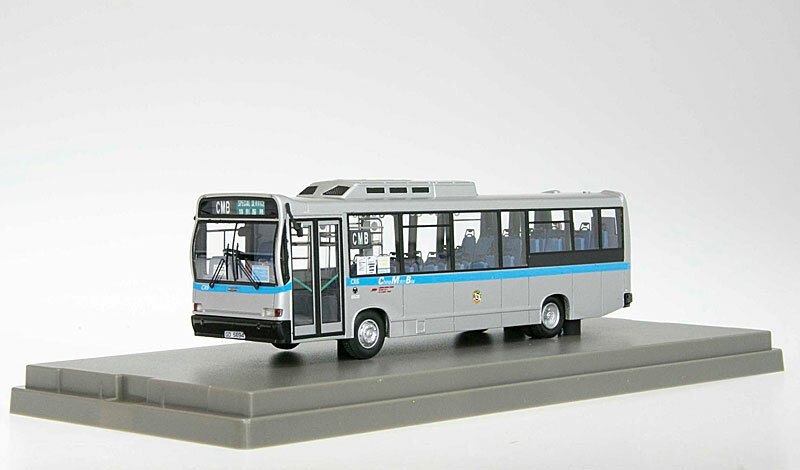 These two versions of China Motor Bus MCW 'Super' Metrobus ML1 from Buses Model Co. were released on 1st October. 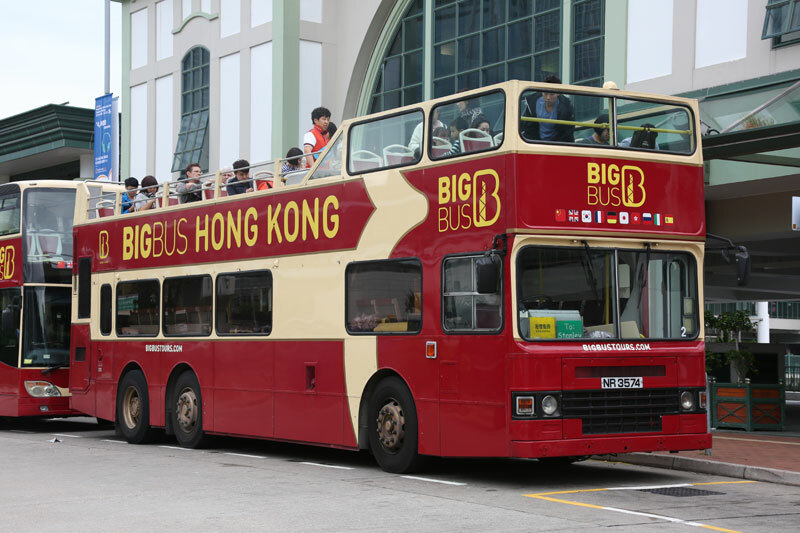 On top, ML1 is represented in its original guise on route 116 to Tsz Wan Shan (BMC01116) whilst the bottom photograph shows it in later life on route 104 to Pak Tin (BMC01104). Each is limited to 900 pieces. 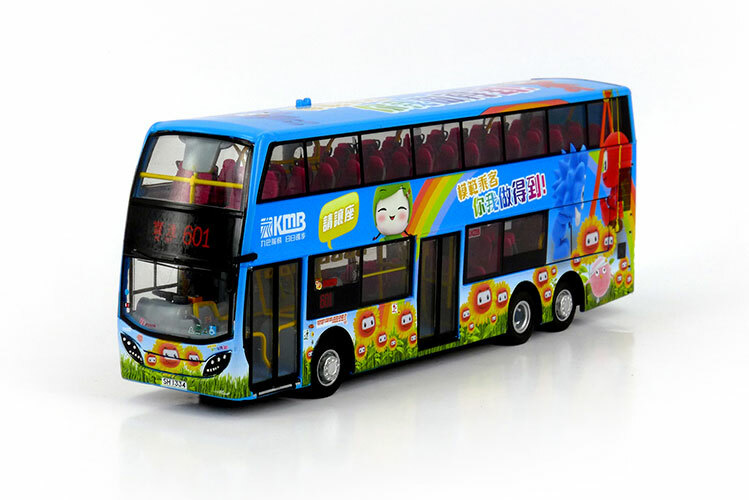 The first two feature Alexander Dennis Enviro500NG ATENU130 decorated in Captain KMB livery - top is on route 601 to Po Tat (KLE15019) whilst the second is on route 98C to Hang Hau North (KLE15020). Each is limited to 500 pieces. 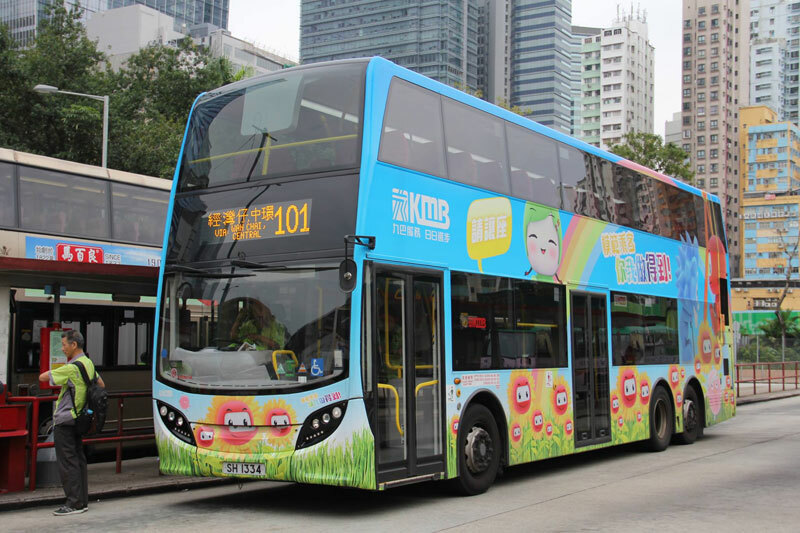 The second two feature the 500th Enviro500NG, ATENU500 - one (top) is on route 116 to Quarry Bay (KLE15022) whilst the other (bottom) is on route 27 to Shun Tin (KLE15023). New pages have just been added for the three Model 1 MAN A91 coaches 63101, 63102 and 63103. After several days of consideration I can confirm that I have decided to continue maintaining the site. I have been overwhelmed and humbled by the sheer number of messages of support and offers of assistance and these have been a major factor in helping me reach my decision - thank you. I hope to resume 'normal' service very shortly. Following my posting below, I would like to thank everyone who has contacted me and to all of you who have offered help to enable the site to continue, which I will consider over the next few days. I will respond to all these messages shortly, so please bear with me. After almost 17 years I have decided to cease updates to this website for the foreseeable future. With the increase in popularity of social media sites, details of new models are readily available. Of late it has become increasingly more time consuming in seeking out detailed information, information that previously was willingly provided by manufacturers - time that presently I do not have enough of! As a result, I am no longer able to maintain the site in the manner that I have always prided myself in doing. I would like to take this opportunity to thank all of you who have contributed over the years. The site has enabled me to make many good friends, both here in the UK and also in Hong Kong, for which I will always be indebted. 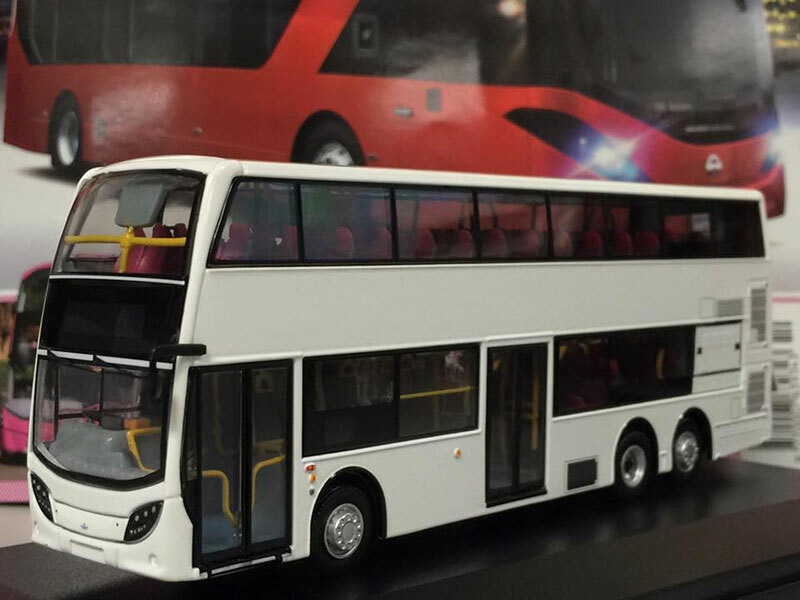 Released earlier this week is this Cars Workshop plain white Enviro500 hybrid (94507). It has no limited edition certificate.